Enjoy the benefits of digital intraoral imaging with one of the leading products in the market right now. with a fast growing product portfolio of treatment centers, instruments, autoclaves, soft tissue laser and a wide range of extra and intraoral imaging products is appreciated by more and more dentists around the globe every day. FONA is manufacturing products across 3 continents of the world. All under one philosophy in mind, keeping: CLOSER TO YOU. allows every dentist, no matter the specialization, anatomical region or patient age, to deliver informed and high quality treatment. Digital intraoral imaging is useful during regular check-up, endodontic treatment, insight into the periodontal status or detection of even the smallest demineralizations in the enamel or detailed clinical situation in dentoalveolar surgery or implant treatment. FONA Stellaris delivers these brilliant images thanks to the most advanced sensor technology, so that the doctors can enjoy the rich diagnostic information they need to treat their patients. by up to 2-6 -times when compared to traditional film thanks to the highly sensitive advanced sensor technology used in FONA Stellaris. Take more images of the treated area and get deeper understanding of the case, while minimizing radiation impact on the patient. Another big advantage digital imaging offers over traditional methods is the speed at which the doctor can work, minimizing patient discomfort and increasing practice efficiency. 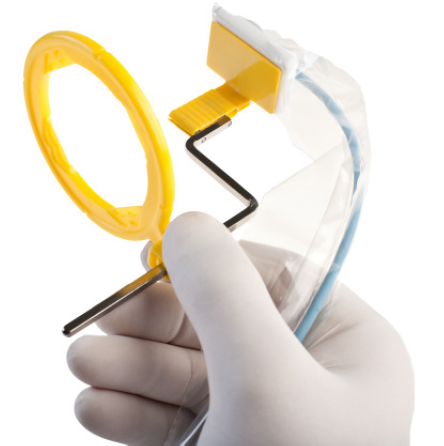 The minimum regular checkup with 4 bitewing images using positioner requires considerably less time to acquire than with film or plates. The doctor can focus on the patient, without the need to touch computer or any other equipment. The assistant triggers the exposure while both of them are in the safe distance. to a quality diagnostic image. One of the challenges is the molar area of upper jaw. 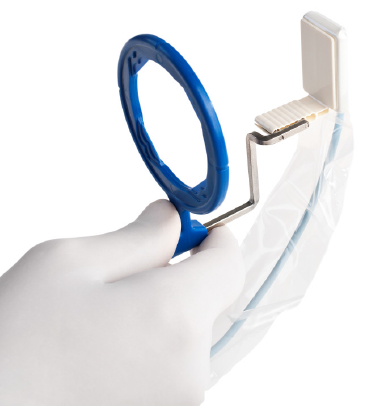 Rounded sensor edges of FONA Stellaris make positioning easier and more comfortable for the patient. Thanks to its white color, the sensor is more visible in the oral cavity and coupled with FONA positioners can relief stress. It is not uncommon for the sensor to be held in place by a finger, which is not only uncomfortable for the patient or the doctor, but creates a risk of sensor movement during exposure. Positioners also allow to use paralleling technique, which is next to impossible to achieve without positioners. The positioners hold the sensor in place by using the natural position of the jaw, which is a relaxed, slight pressure bite. Once you get on board with digital imaging, you rely on your sensor. Sensor cable has to endure quite the harsh treatment, constant sensor positioning, bending, biting. Even the most durable sensor cables may give in, under such stress. 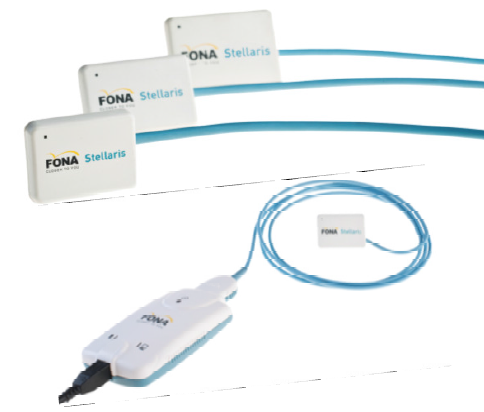 FONA Stellaris comes with a unique patented solution of replaceable sensor cable. Should anything happen to the cable, with Stellaris, you are able to get back to shooting images in minutes. The spare cable is already included and the replacement is so easy, anyone can do it. 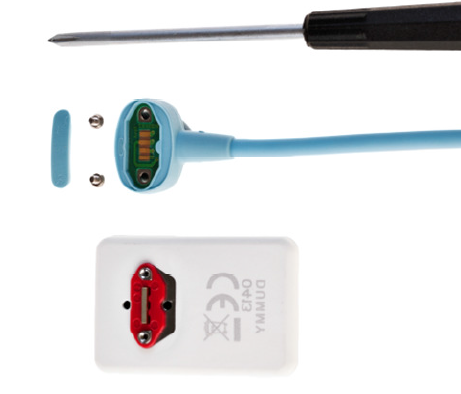 The patented technology of the detachable sensor cable and the golden long-life connectors protect the sensor for years to come, FONA Stellaris is a safe investment into the future of a dental practice. FONA sensors all plug into a USB module. This module design offers Stellaris owners several benefits – sensor sharing among more than one dental office is possible and convenient, exchange for a different sensor size is quick and easy (FONA Stellaris is available in sizes 0,1, 2) and the fact the sensor plugs into a conveniently placed module secures complete upgradability in the future. The module can be exchanged if any new computer technology is required. The module also increases work comfort for the staff. Placed at the treatment unit, it allows easy manipulation thanks to its “always-in-reach” location and with a sensor cable, which length has been measured to be optimal to work with. READY TO INTEGRATE: GET ON-BOARD NOW! 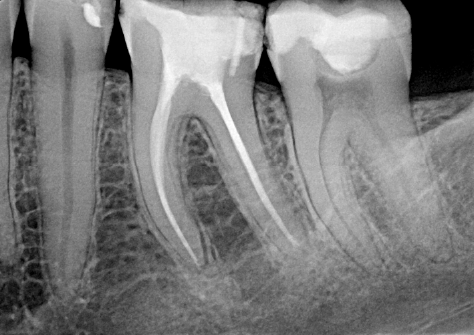 When integrating into an existing dental environment, it is important to have the possibility to share images within clinic or with other dentists conveniently. The software companion suite FONA OrisWin DG Suite offers all this: interconnection with Patient Management software or import of older patient image databases, for hospital environment or small clinics, the DICOM link. There is also the possibility to print out the images or integrate other tools used during treatment, like the intraoral camera used for full case documentation or other X-ray modalities. All this is possible with FONA Stellaris, offering dentists in Europe and Middle East to go beyond extraordinary intraoral imaging. Experience the brilliant image quality, speed of work and unparalleled freedom the digital intraoral imaging offers. convenience, as digital images are easier to archive. images only with the correct settings and proper sensor positioning technique. screen and if I need more images at once, I don’t need to wait, to make another exposure.